Choose from carbon, acetate, ceramic, steel… (polished, matte, DLC treated, engraved). We are adding to our bezel collection every month. 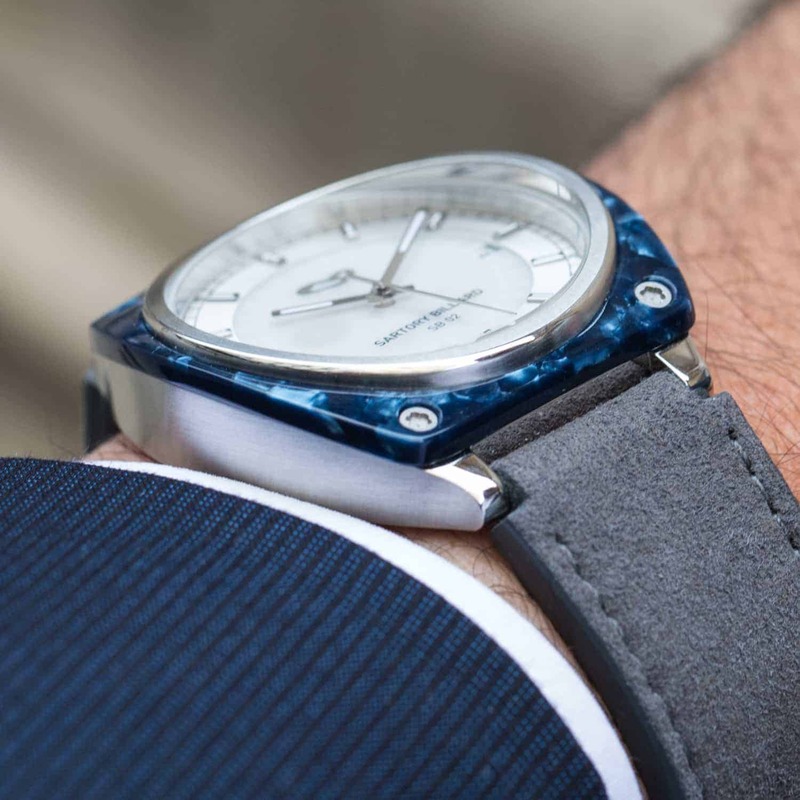 The Sartory Billard SB02 has curved case that surrounds and supports a domed sapphire crystal.This unique design is more than just visual, it is tactile with the case and crystal melding almost organically. 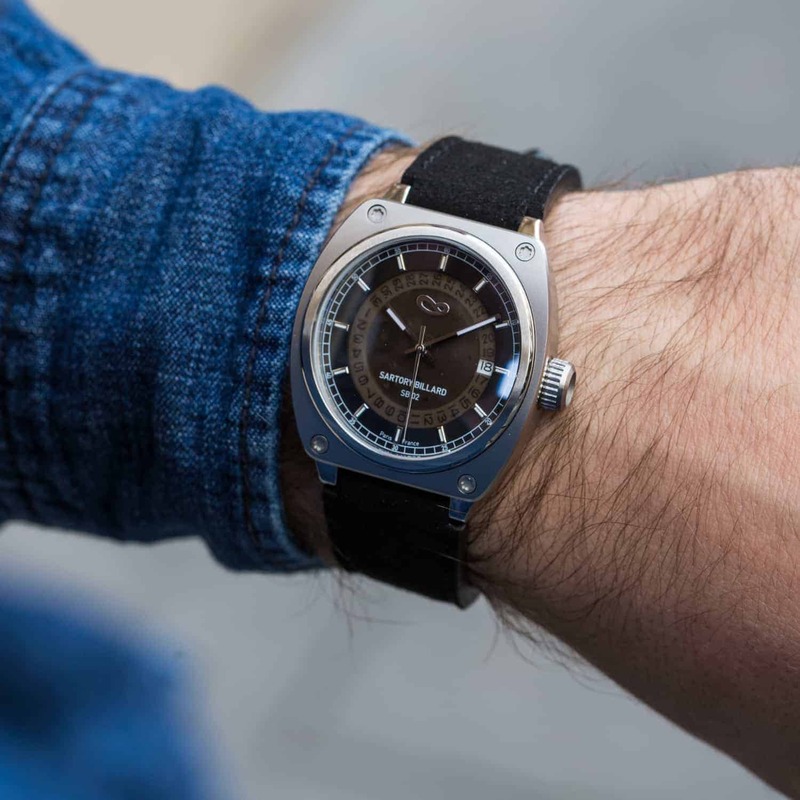 The SB02 is available in two dial options – Anthracite and Silver. The dials are transparent, displaying the inner workings of the automatic movement. The outer dial features sun brushed finishes with applied indexes. The SB02 is not only fun to look at, it is truly easy to read. The SB02 is powered by Miyota’s 8215 automatic movement and is assembled here in the Franche Comté, the cradle of French watchmaking. 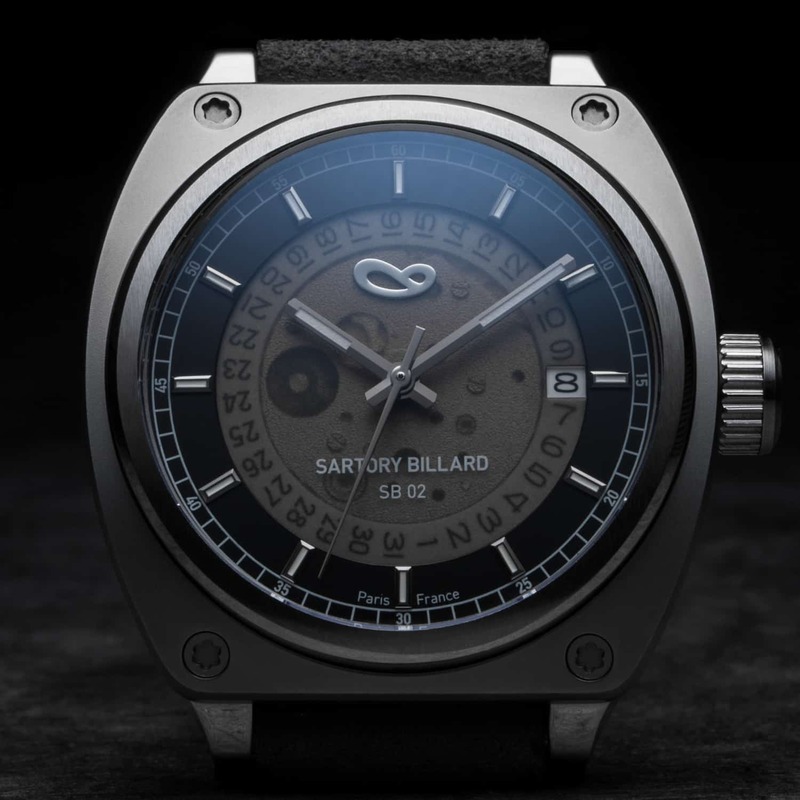 At SARTORY BILLARD we offer a variety of limited series for our bezels, ensuring your SARTORY BILLARD will always be evolving it’s look to match your style. Bezels of steel, carbon, acetate and ceramic, with possibilities limited only to our imagination. We ship world-wide and are also available through our growing retail partners. 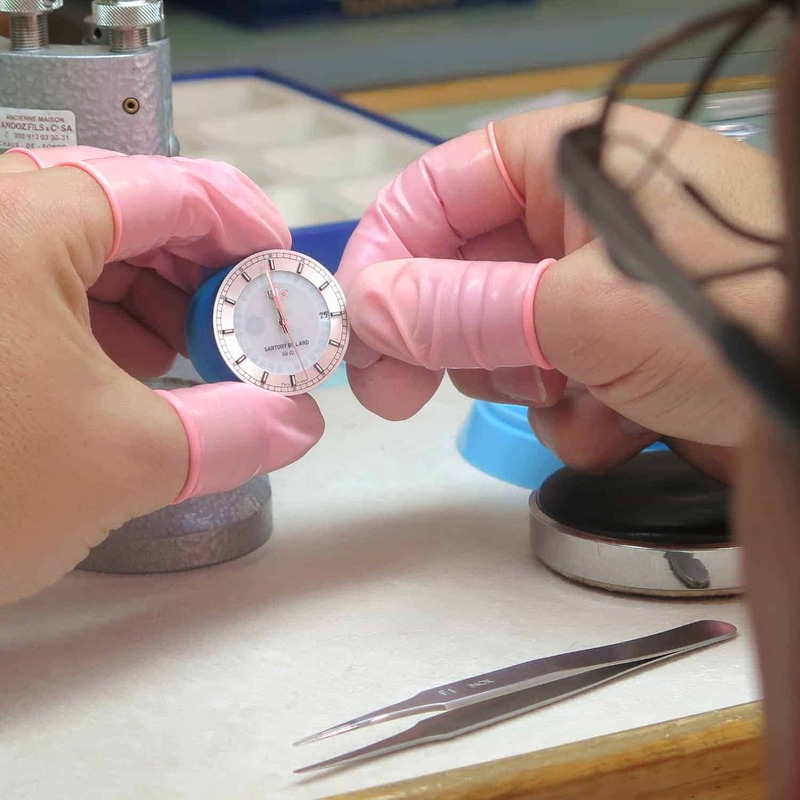 The SB02 is covered by a two-year, warranty against any manufacturing defect. Strap: Suede and genuine leather, featuring a quick release spring bar system. 23 mm at largest > 20 mm buckle / 18 mm lug width. The birth of SARTORY BILLARD. It’s a devouring watch passion that has made us want to share our vision as creators. 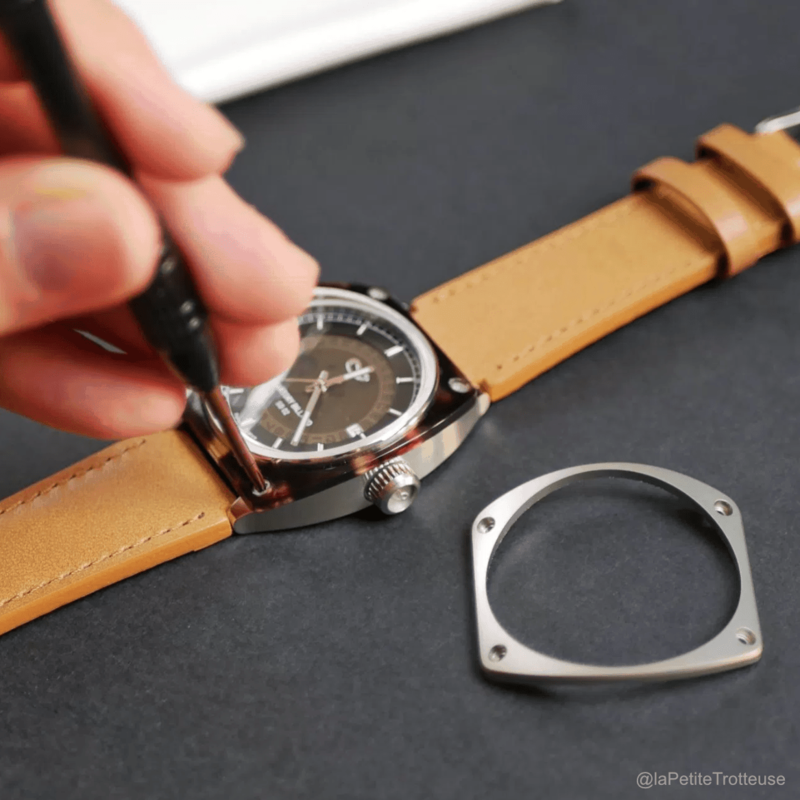 With the starting point of the adventure a simple desire: to create a unique and personal watch design. 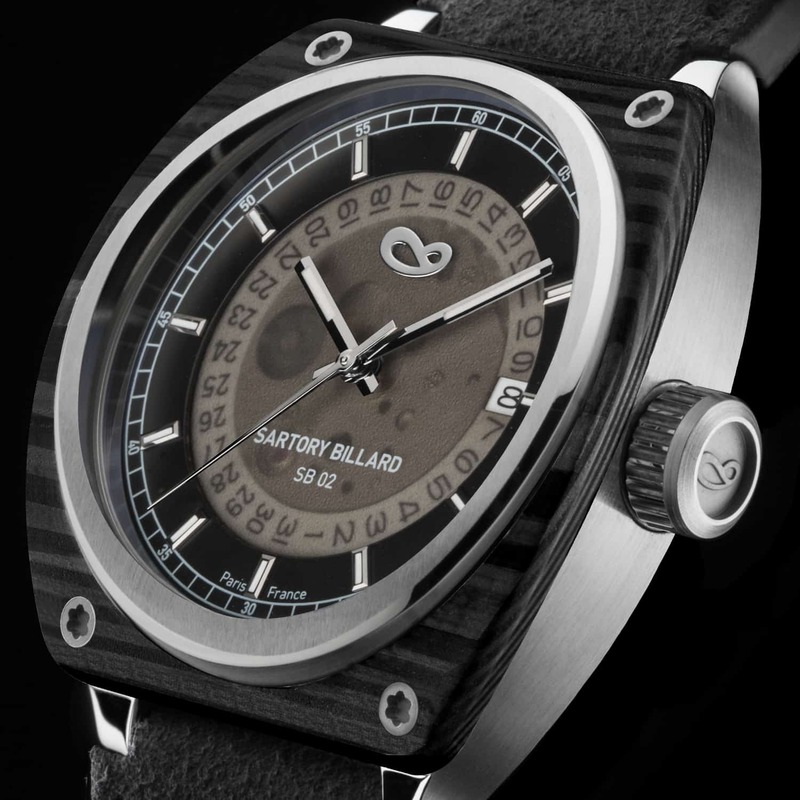 Thus was born our first watch in 2015, the SARTORY BILLARD RPM01. APEX is the apex of a corner, well known to race track enthusiasts, and RPM is the engine speed. The dial like a race car rev counter which ticks every second towards the red line, starting at 0, neglecting the first marks like a highly tuned engine. An aluminum flange, like the central nut of a race car wheel, circles the dial, red, anodised, as parts from a competition car should be. The movement plate receives the same treatment and isn’t hiding anymore, exposing itslef through the unusually oversized saphire glass, like some of the most beautiful engine supports. A limited and numbered series of 88 pieces with a unique aesthetic without compromise. 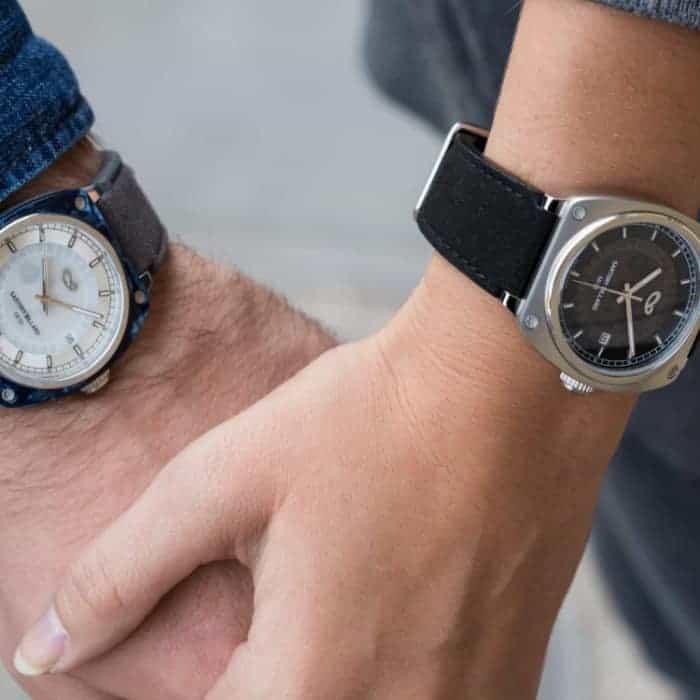 A very high quality watch, animated by a Swiss movement, manufactured and assembled by recognized and qualified French craftsmen for a unknown result at this price level. The RPM 01 has been sold in France, Belgium, Morocco, Singapore and Japan. Ludovic Sartory & Armand Billard, founders.